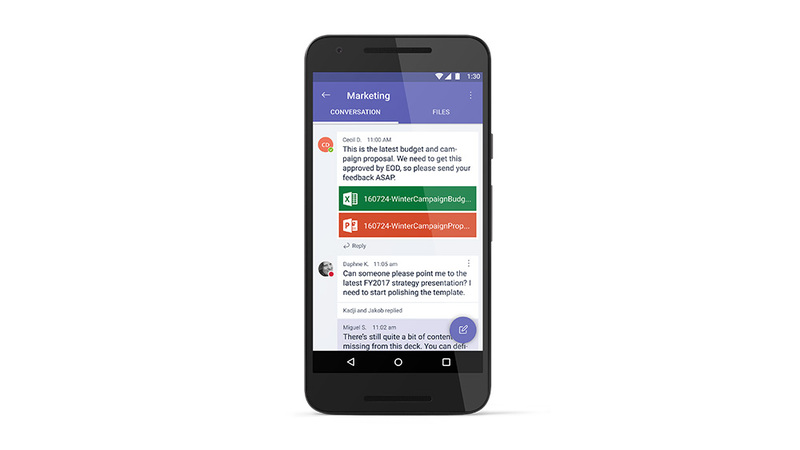 Microsoft Teams is available for Android, IOS and Windows Phone as well. Giving you the opportunity to work with your team from anywhere, anytime and from any device. Never miss out on anything! As Microsoft Teams is built on top of Office 365 Groups, you have the ability to reuse existing Office 365 Groups. 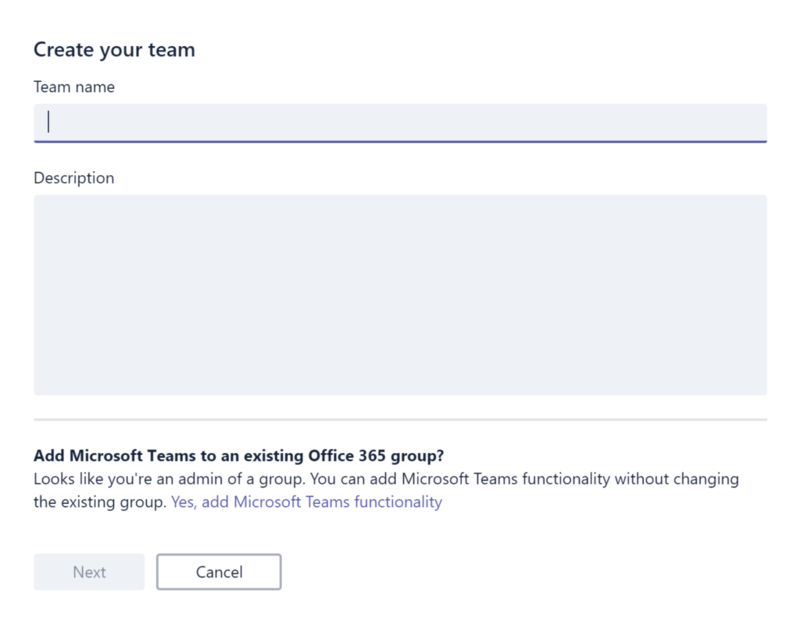 Click on ‘Create Team’ in the lower left of the screen and you are presented with the option to create your new team or pick one from existing Office365 Groups (if they are private and you are the admin). When a team is created from existing Groups, Teams will utilize the meta details of the Groups such as group description and group members which makes the team creation task more simple. Channels keep team conversations organised. You can dedicate different channels in your team to different topics, projects or whatever you like. To each channel you can add additional tabs and connectors. 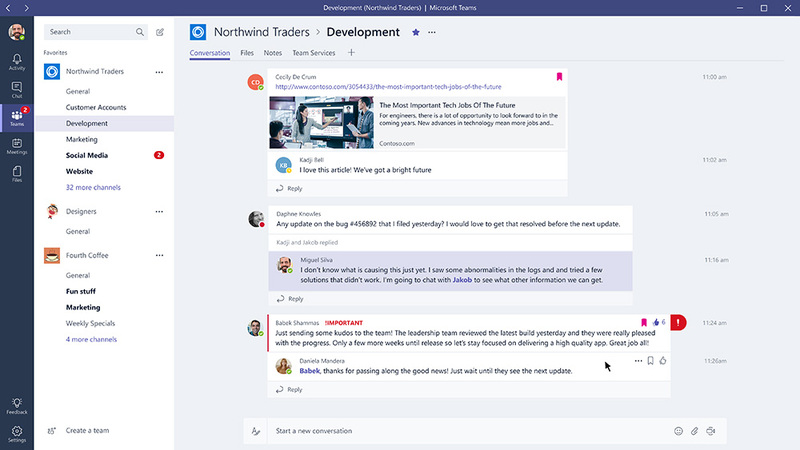 Office 365 Connectors are a great way to get useful information and content into Microsoft Teams. Any user can connect their team to services like Trello, GitHub, Bing News, Twitter, etc., and get notified of the team’s activity in that service. 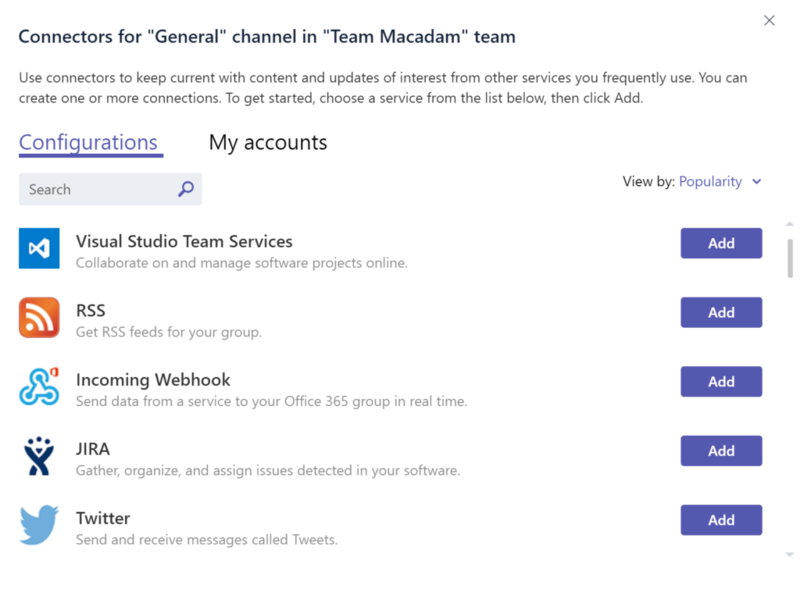 Office 365 Connectors also provide a way for developers to integrate with Microsoft Teams by building custom incoming webhooks Connectors. 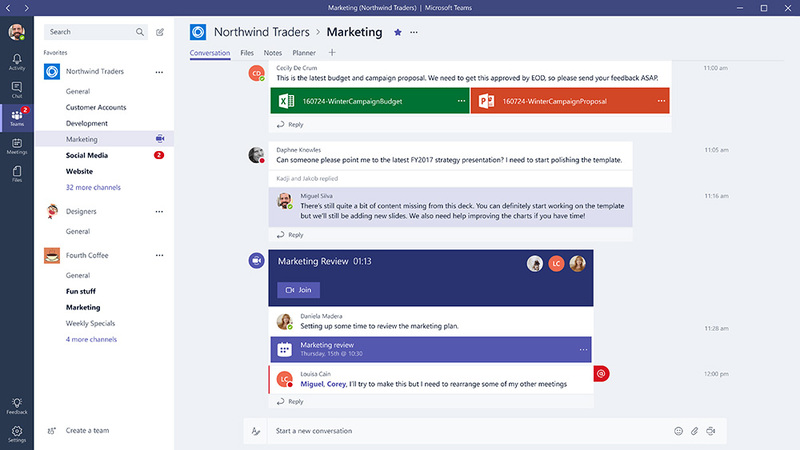 Managing meetings has never been so easy as in Microsoft Teams. Meeting details are fetched from your Office 365 Calendar which lists all meetings (Skype, Microsoft Teams and Outlook). You can start or join Skype and Microsoft Teams meetings directly from this view. 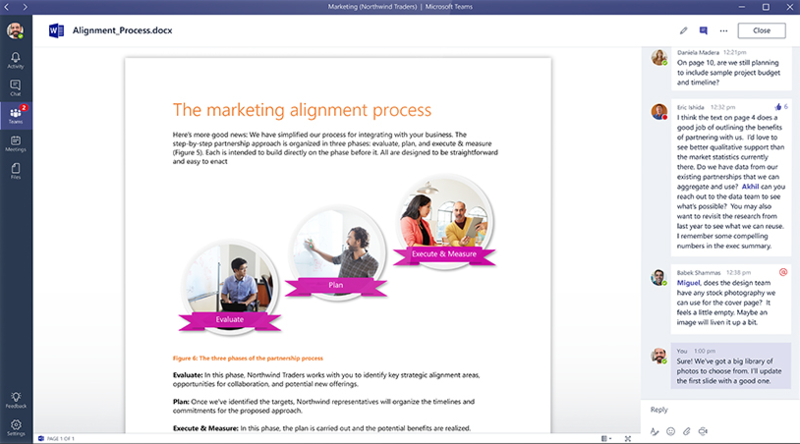 When it comes to collaborating, Microsoft Teams is definitely worth a shot. 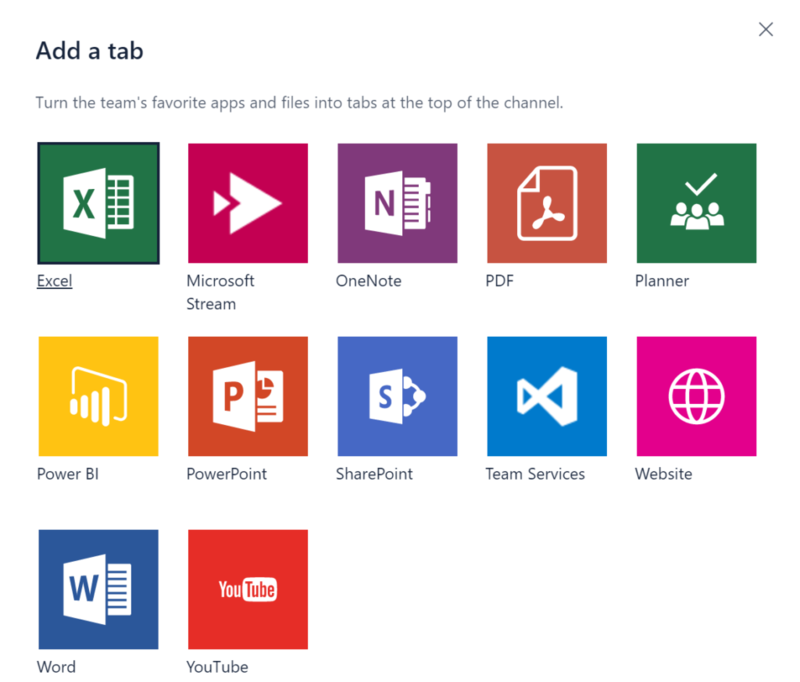 Download it now to get started https://teams.microsoft.com/downloads.